HandKrafted by Stephanie: Taylored Expressions November Sneak Peeks: Life is a Kitchen Plus Kitchen Little Bits! Taylored Expressions November Sneak Peeks: Life is a Kitchen Plus Kitchen Little Bits! Hello! Welcome to the first day of Taylored Expressions November Sneak Peeks! The Creative Team is kicking off 4 days of projects (3 days of peeks and release day). All products will be released on Thursday, November 5 @ 7 AM PST. Today we are focusing on gift giving! 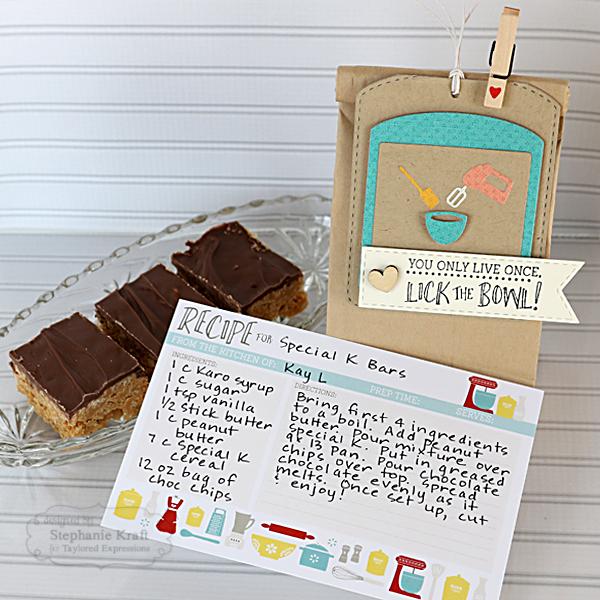 I made a few tag cards using some new kitchen related products that are perfect to attach to baked goodies. 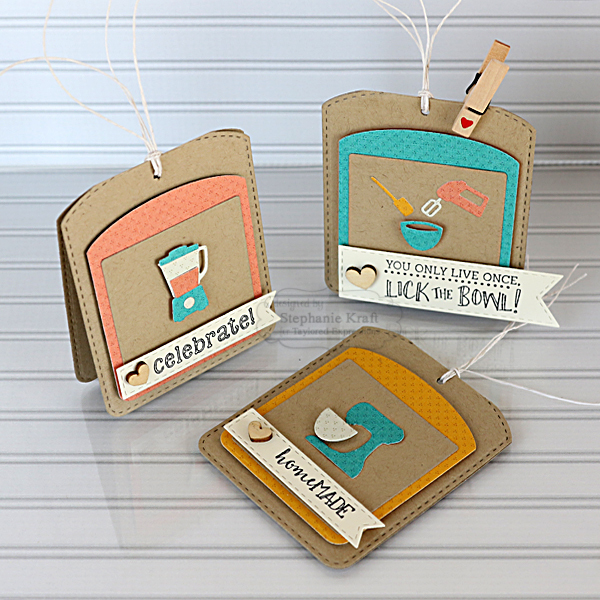 The next tag card uses Little Bits - Mixer and another sentiment from Life is a Kitchen. The sentiments on all of the cards were stamped and die cut with Stitched Banner Stacklets. 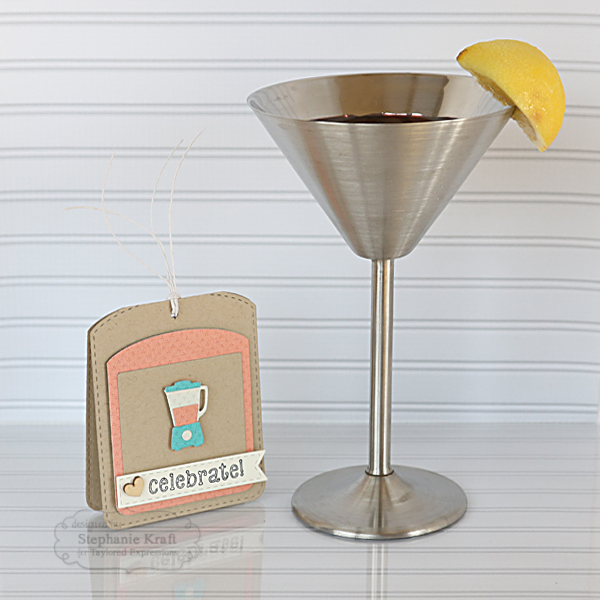 The final card is perfect for a celebration of any kind. It features Little Bits - Blender. The sentiment is from the previously release Summer Love stamp (& die combo). Products in BOLD will be available in the TE store on Thursday, 11/5/15 @ 7 AM PST! 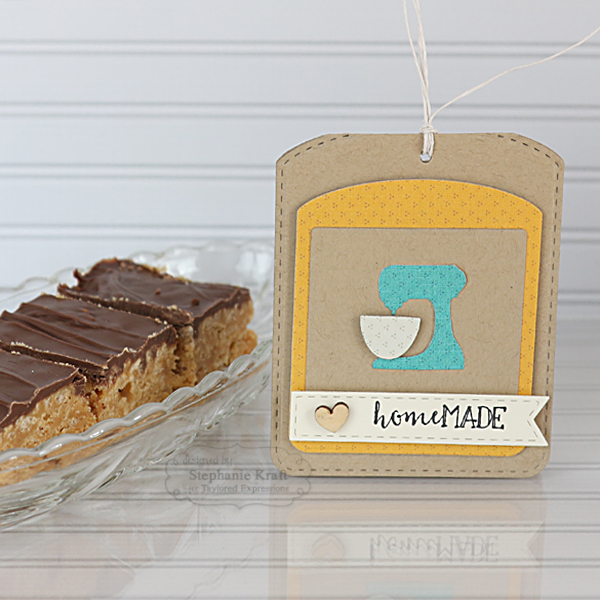 Accessories: Taylored Dies: Stitched Banner Stacklets, Little Bits – Mixer, Little Bits- Blender, Little Bits – Hand Mixer, Build a Tag 4 (TE); Wood hearts, Hemp cord, Foam tape. Darling tags. I love the shape of the tag, so different. Oh, those Special K bars look yummy. Thanks for sharing.